Eyeshadow palettes are the makeup item that I buy the most but then I always feel like I lack something. More colour, more cool or warm tones, more shimmers.. you know the drill. When it comes to makeup, I always want more. All of my eyeshadow palettes are from Makeup Revolution. Only recently (like a year ago) I got into makeup so I didn’t want to spend loads of money and then to leave it on the side. 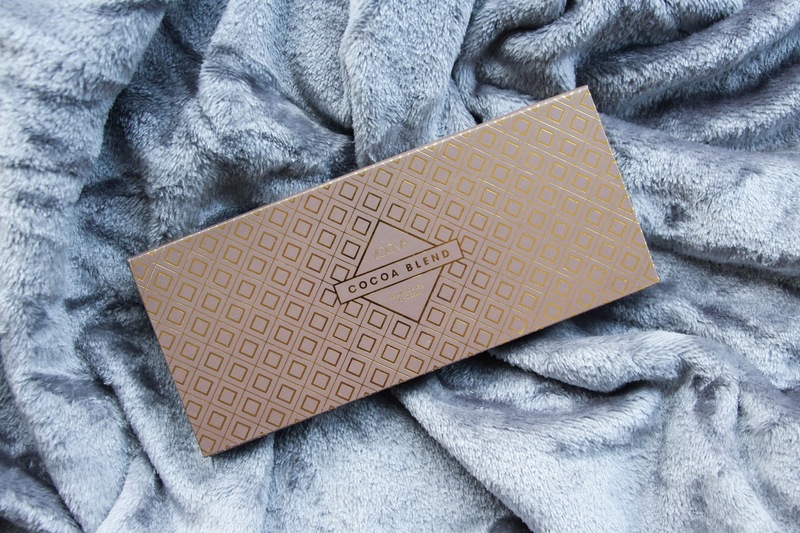 Now that I am really enjoying doing my makeup and my YouTube videos, I decided that it is time to add different brands to my makeup collection and this Zoeva Cocoa Blend Palette was my first one. The first of many! The reason why I picked this palette is not only because it is stunning on itself (design) but also it feels and looks very autumnal. Perfect colours for this season. Not only shimmers eye shadows but also mattes and again a range of shades that will help you to achieve either a day or night time look. Although it is a cardboard packaging, it does look very sleek and quite pricey – even though it isn’t. For £15,50 you get a good wack of shadow weight in there, something that compensates the fact of this palette not having a mirror. This is a beautiful warm toned eye shadow palette with 10 colours in total – four matte and six shimmer. They are all very creamy and seriously pigmented and so, so easy to blend. 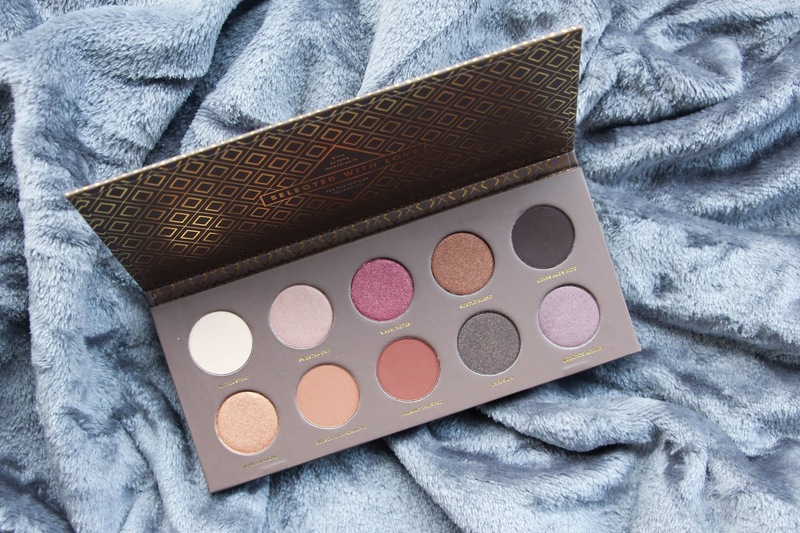 Although I only received this palette yesterday, at the time I am uploading this post I have already swatched and did a look using a few of these eye shadows. That is how eager I was to receive and use this palette asap. You can get this palette from beauty bay for only £15.50. No postage at all. I ordered it last Sunday and got it delivered Wednesday! I have been loving buying makeup from Beauty Bay. They are so efficient! 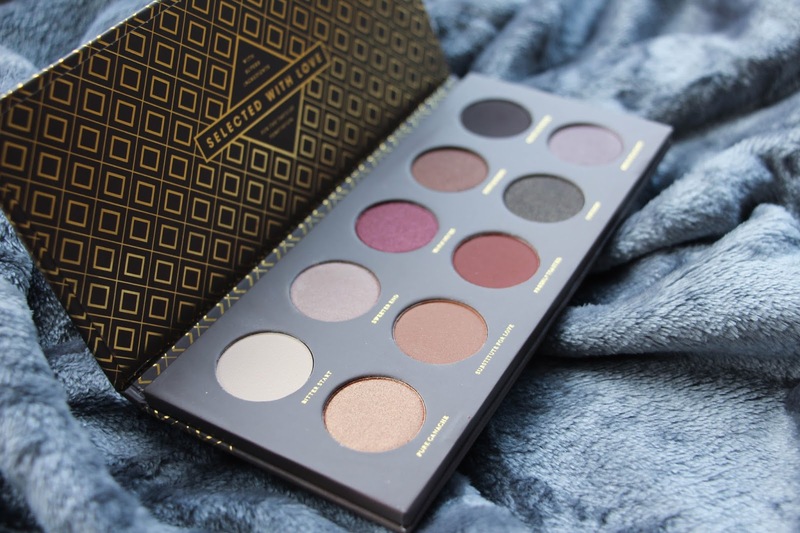 If you are just like me that can’t resist to a neutral/warm eye shadow palette or any make up at all, this Zoeva Cocoa Blend Palette is a must have in your makeup dash. Nice and slim, sleek, pigmented, classic.